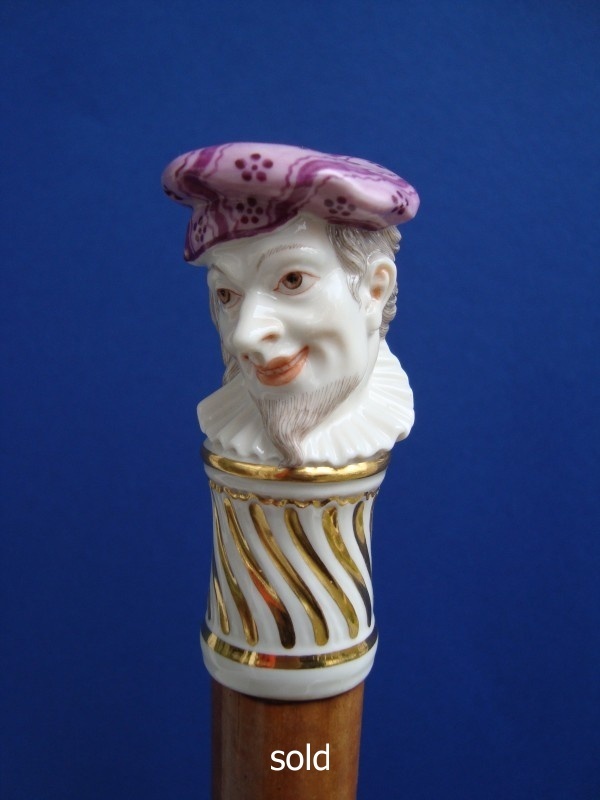 Walking cane with a porcelain handle as a bust of a man. 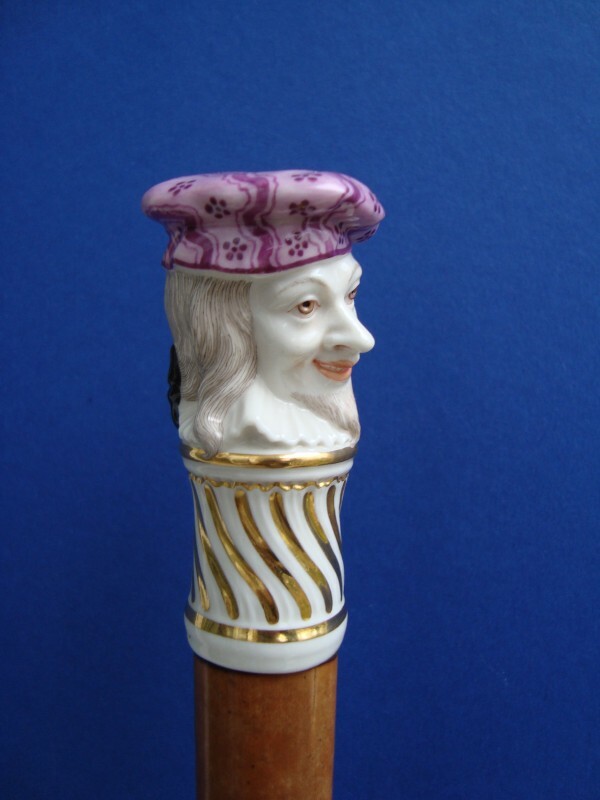 It is a designed by the famous Franz Anton Bustelli in the 18th century and painted in the 19th century, manufacture Nymphenburg, Munic. 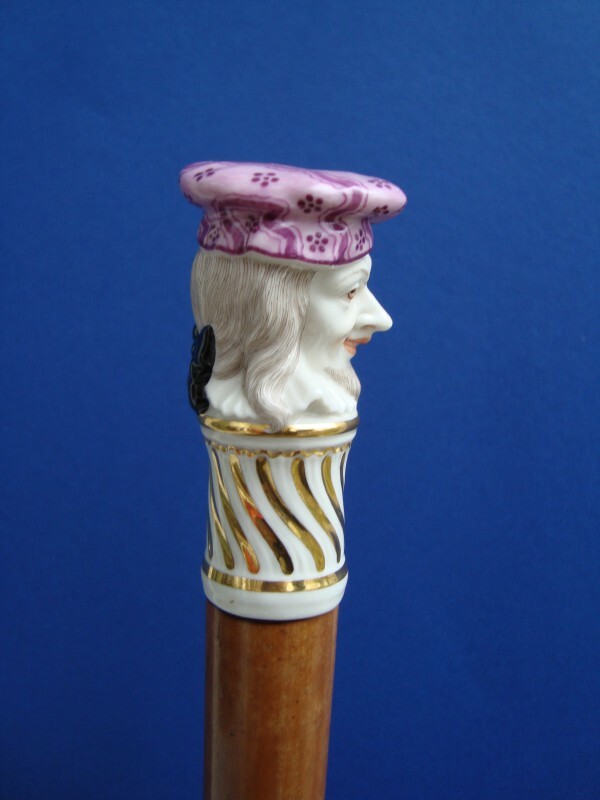 The handle is fitted on a malacca shaft with a horn ferrule. 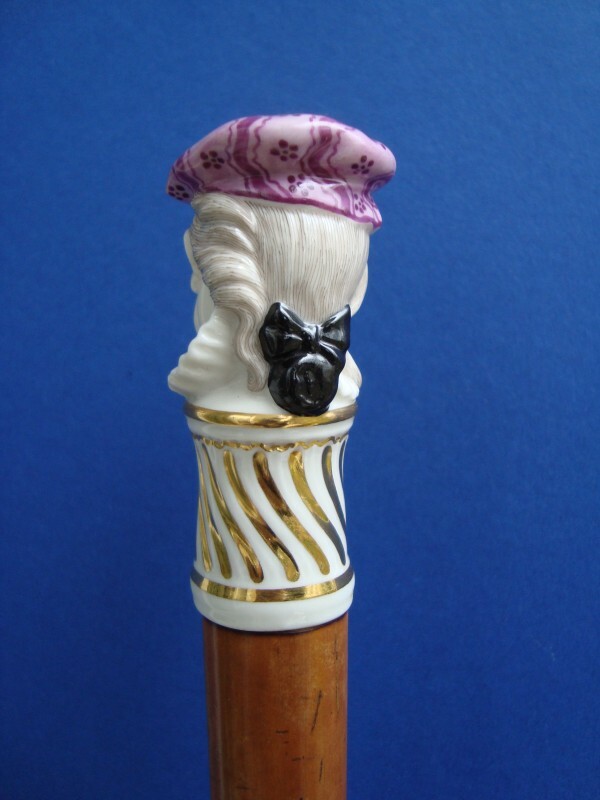 Measures of the handle: H. 3", 7,5 cm, W. by circa 1,2" ,3 cm, overall length 37,5", 95 cm. 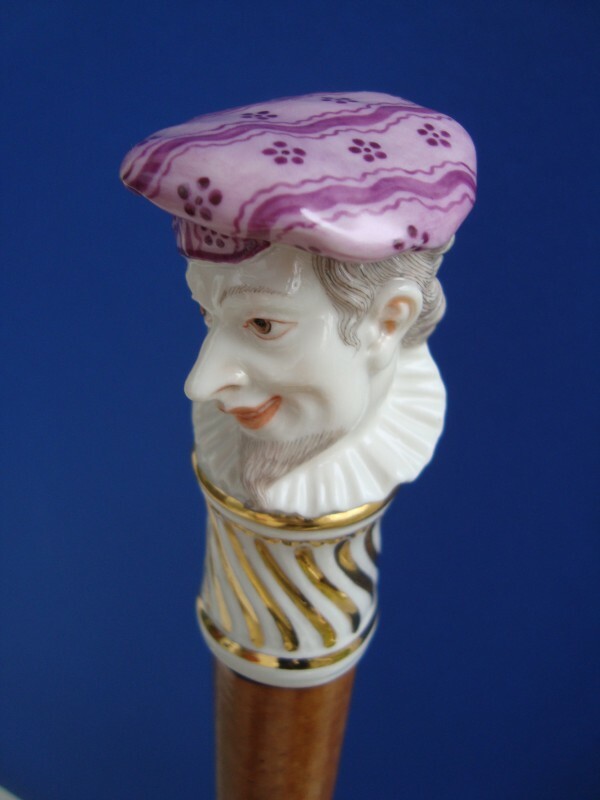 Lit: Catherine Dike: "La Canne Objekt D`Art" page 186.